Paneer tikka masala is a delicious vegetarian Indian dish, often an alternative for chicken tikka masala. 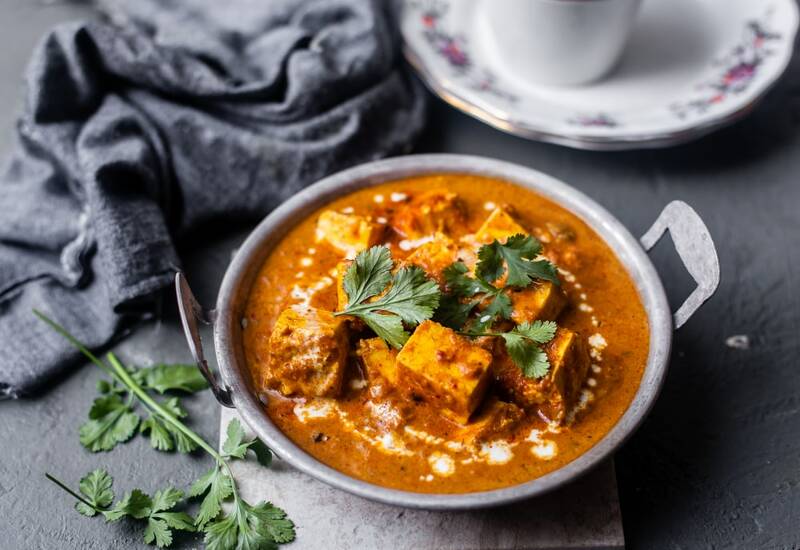 Paneer cheese is popular in Indian vegetarian dishes and is cooked in a tomato gravy. The pressure cooker truly enriched the flavor and make a flavorful dinner that is great for weeknights or date night. Substitute coconut cream for heavy cream, oil for butter, and tofu for the paneer for a vegan dish. Substitute yogurt for the heavy cream for a lighter dish. Per Serving: 501 calories; 40g fat; 15.8g carbohydrates; 23g protein; 93mg cholesterol; 1691mg sodium.